Item # 300557 Stash Points: 4,499 (?) This is the number of points you get in The Zumiez Stash for purchasing this item. Stash points are redeemable for exclusive rewards only available to Zumiez Stash members. To redeem your points check out the rewards catalog on thestash.zumiez.com. Anti Hero presents their all new "Book of Anti Hero" deck series featured with lighthearted graphics that put a comical spin on various religious scripture. This board is Frank Gerwer's signature pro model made from a durable 7-ply maple construction and overall medium concave. 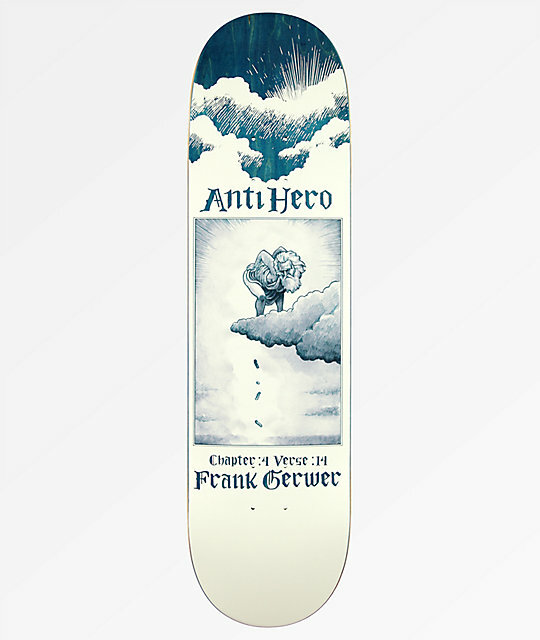 Gerwer Book of Anti Hero 8.25" Skateboard Deck from Anti Hero Skateboards. Signature Frank Gerwer pro model. 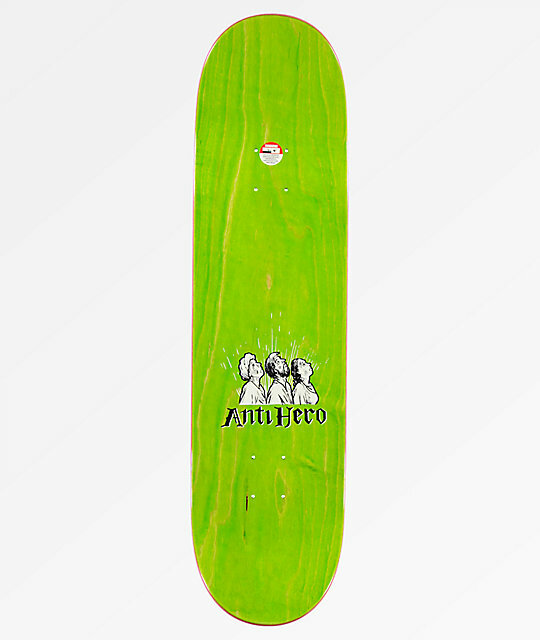 Part of Anti Hero's "Book of Anti Hero" deck series.